We are more than a fourth of the way through 2019 and I wanted to give all of you an update on how I’ve been doing on the New Year’s resolutions. 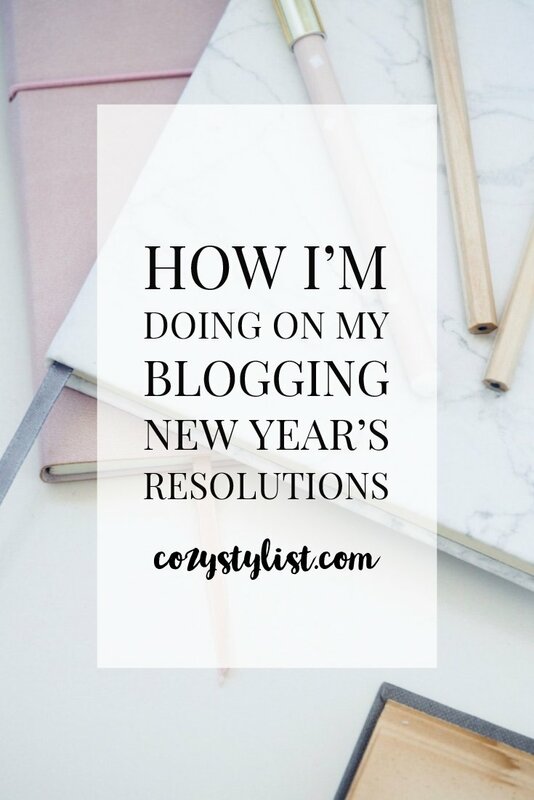 I was so proud of myself when I completed my first year of blogging and I had a lot of things that I wanted to accomplish for my second year. You can read about what I learned in that first year and all the goals I set for myself in this post. Something that I really struggled with last year was that I was constantly burning myself out. I had this idea in my head that I had to write two or three blog posts a week and post on Instagram every day. This made me want to give up on my blog all the time because it felt more like work than a fun hobby. I didn’t want that to happen this year so I’m taking it slow. I only post to my blog once a week and I’m trying to post on Instagram 3-4 times a week. However, I do love Twitter and will constantly be tweeting and interacting with people. I am also more excited to work on my blog than I was last year. The whole Pipdig scandal really motivated me to rebrand my site by buying a new theme and header images. I really love my theme by 17AveDesigns! I also wanted to create a new newsletter template and decided to buy a template off Etsy and put in a lot of my own designs. Having a new blog and email template has really forced me to learn to code and figure out how to get things that way that I want them to look. The goals I set for myself for 2019 have changed a little bit in the past four months. I rebranded my fashion blog to be more of a lifestyle/fashion/home decor blog because I got tired of writing about just clothing. I felt like my readers didn’t really know who I was so I wanted my site to be more personal. So I will talk about the goals I set for myself and the new goals that I’ve made over the last couple of months. I have been trying really hard to have better images and a more cohesive theme to my images. I’ve to try to stick to a white background theme which is proving to be difficult because I love color! One thing I talked about was wanting to hire a photographer to help take my photos but I quickly realized that I don’t have the funds to do that since I’m putting myself through school. So, it’s just me and my boyfriend take my blog photos and I have been extra careful about editing them so they all look the same. I do have all my posts planned out for each month and I even have the entire year of 2019 planned out. They are subject to be changed and move around but I’m so glad that I have a plan for what I’m going to post each week. I have not written all my posts at the beginning of each month because I have been so busy with school and work that I am writing each post usually the weekend before it’s published. I have been doing super great on this with Twitter but am slacking on Instagram and Pinterst. I love being on twitter and posting whatever is on my mind at the moment. It’s so easy to talk with others and ask questions and immediately have someone answer you. It’s just so much easier than Instagram where it takes so much effort just to get one picture published and it feels forced when I have to comment on so many posts. I have some exciting blogger collaborations coming up but have yet to reach out to any brands about working with them. I plan on doing this when my site is fully updated and I have finished making a media kit. I’m getting a little better about doing this, but still, struggle when I see beautiful images and outfits on Instagram. 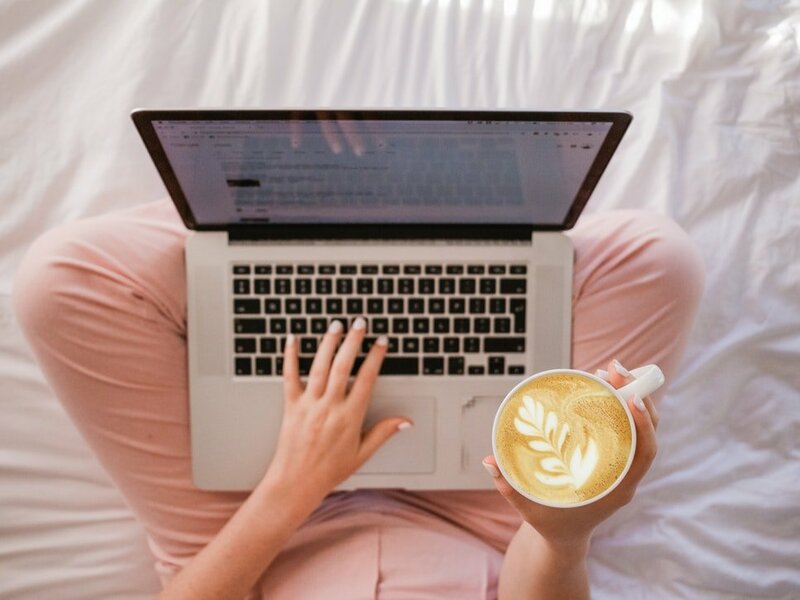 I just always have to remind myself that everyone is at different stages of blogging and I am still a newbie when it comes to content. I’ll get there in a few years but for now, I am still growing. I have also set some new goals for myself for 2019 that will improve my blog and mental health. I want to improve the SEO on my site and include more keywords in each post. This way you can find my site more easily on Google. I have also started to include Pinterest images at the bottom of each post that you can pin to your own boards! I am also planning on putting in tweetable links that you can retweet to your Twitter. Other goals I have for myself is to not spend so much time obsessing over the number of followers that I have or how many people viewed my content that day. It’s really bad for my mental health to constantly be comparing myself to when I had more views or more clicks on a post. I look forward to updating this post again this summer to update you all again on how I’m doing! I really liked reading this post. Very open and honest. I see a lot of this in myself as well. Trying to grow the following on Twitter etc and worrying about follower count. Just got to keep focused and not worry about the little things. Great article and thanks for sharing! Hey girl enjoyed reading your goals! I really want to collab with a brand too and get all my posts done beginning of month but usually end up missing my deadline and doing it rushed. That’s super impressive you planned your posts for the whole year wow! I haven’t thought about my blog goals in a while just wanting to post consistently on Instagram but it’s really been burning me out when my engagement is down and my followers don’t grow. But like you said it’s so important to focus on your own growth! Love how open you are about your goals! We have very similar goals in mind but I definitely agree in not playing the comparing game. I’m glad to hear you are doing so well with your resolutions! I can’t believe you have the whole year planned out! I thought I was doing well having May & June scheduled and ready to go! Get you! I hope everything continues to work out for you & your successes keep coming! It’s great that you are honest and open about what you want. I appreciate that as a reader! I loved reading your goals, it makes me realise just how much I’ve done within myself too. You should be so proud of what you have achieved!! I really need to get on a schedule with my blog. This wa a great inspiration! Your number 5 goal is something ive been trying to improve on latley and im slowly getting better at it! These are some really great goals! I had a lot of trouble with pictures too but I think the extra effort really pays off in the end. Your new blog theme looks amazing! Good luck with the brand collaborations I know it can be tough to reach out those first few times! Loved reading how you’re getting on with your New Year’s Resolutions! It’s great to reflect back on these, especially this far into the year. That way you can review and see what you still need to do. Sounds like you’re doing really well with them all. By the end of the year, if you keep to these and beyond, I’m sure you’re blog will grow well.